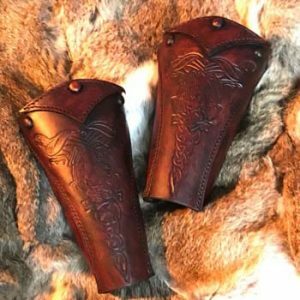 Introducing the NEW Clan Chief Deluxe Leather Greaves, one of the final armour components to finish the Clan Chief full armour sets. 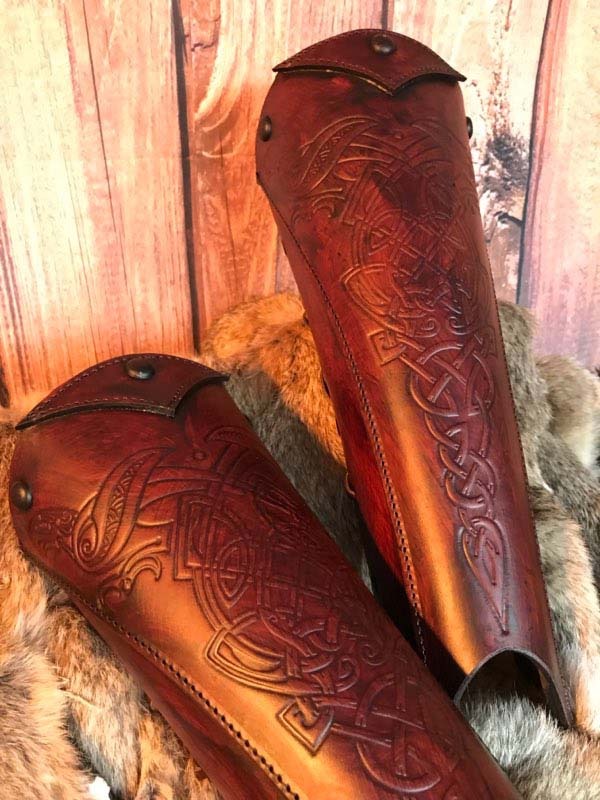 Created & designed by Alex Agricola, these greaves, leather leg guards have been made of only the best premium grade top grain 3.2-3.5 mm Veg Tanned leather, which has been cut, embossed and hand dyed and finished with the Black Raven Armoury “aged battle worn” look. 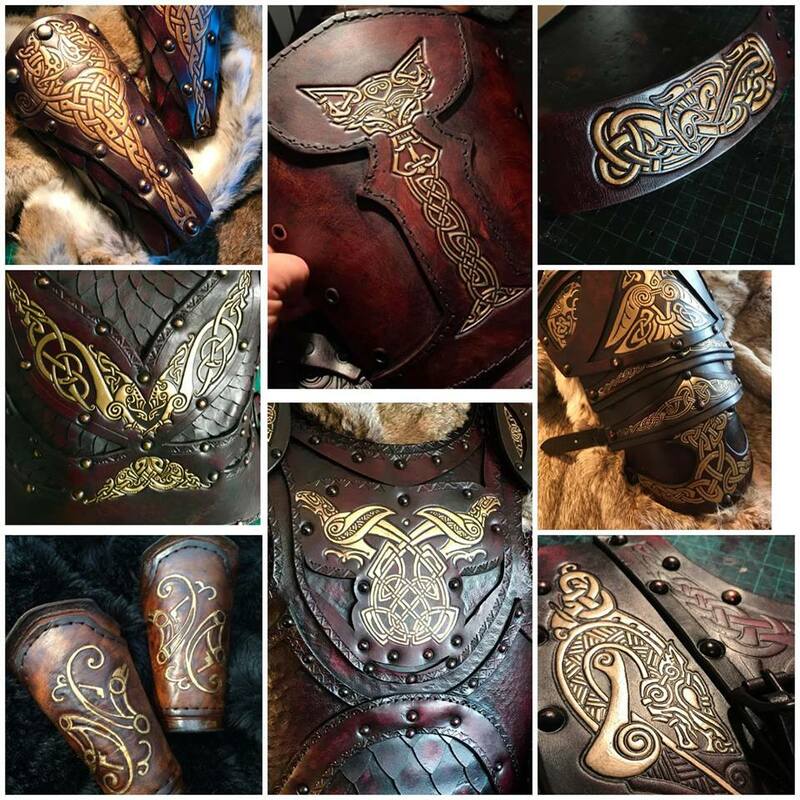 ?All armours come ready built and finished in the colour of your choice. 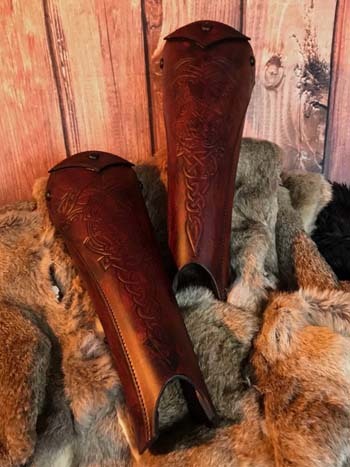 Created & designed by Alex Agricola, these greaves, leather leg guards are made of the best premium grade top-grain 3.2-3.5 mm Veg Tanned leather. 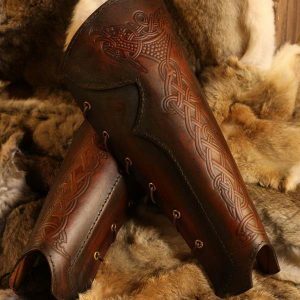 The leather which has been cut, embossed and hand dyed is then hand finished with the Black Raven Armoury ?aged battle worn? 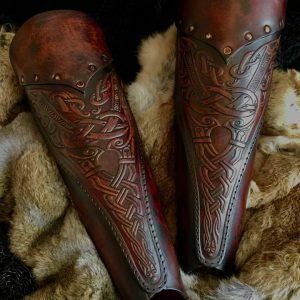 look.